The biggest living organism on Planet Earth is the living planet itself, but she doesn’t have a proper name. Guy Lane & Andrew Buckwell ascribe a taxonomic classification to Gaia, the living planet. THE PROCESS of human reproduction goes through a number of distinct phases. First, a young man meets a young woman and they learn each other’s names. They realise their lives would be better in a partnership. They come to an agreement about how to live together and then they make a baby human. A similar process takes place when our living planet seeks to reproduce. This has not been possible until now. Let us explain. The proper name for a human is homo sapiens, and the science of properly naming living things is called taxonomy. In 1758, Carl Linneus instituted the practice of binomial nomenclature. This is a two-part name, written in Latin that describes how the organism looks or behaves. The binomial for homo sapiens translates (perhaps inappropriately) to “wise people”. All species are so named as part of their “taxonomic rank” that has a number of levels: Domain – Kingdom – Phylum – Class – Order – Family – Genus – Species. For a human, the taxonomic rank has the following entries: Prokaryote – Animalia – Chordata – Mammalia – Primate – Hominidae – Homo – Sapiens. The different types of living things can be represented in a taxonomic Tree of Life. The picture below shows the Tree of Life extended to the level of Kingdom. Of note, there is one important lifeform that has yet to be given a binomial or ascribed a taxonomic rank. That life-form currently goes by the name Gaia, the living planet. In 1974, British scientist James Lovelock co-authored a science paper titled Atmospheric homeostasis by and for the biosphere: the Gaia Hypothesis. The Gaia Hypothesis, now called Gaia Theory, explains how life has endured on Planet Earth for over hundreds of millions of years, despite the constant changes in the brightness of our star, powerful volcanic eruptions and asteroid impacts. 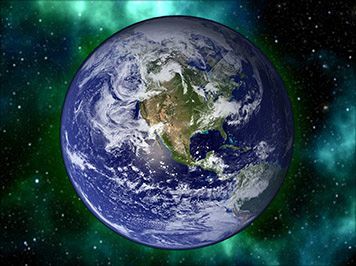 Gaia Theory states that the unconscious effort of all the living things on Earth, interacting with the physical world, provides our planet with a key feature of a living organism — the capacity to maintain surface conditions (for instance its temperature and chemistry) within a narrow liveable range. This is called homeostasis. Apart from homeostasis, another key feature of living things is the capacity to reproduce. Some species do this with their own kind – like humans – however, others actually need a different species to help out. For example, the Fig Tree and the Fig Wasp are inescapably tied together on their evolutionary journey, as neither can reproduce without the other. So it is with Gaia. According to Russian-based scientist Roberto Cazzolla Gatti, Gaia can not only achieve homeostasis but reproduce as well. However, to do that she needs humans to take some Earth species to a planet where conditions are suited to their survival. If Gaia is able to achieve homeostasis and, through humans, reproduce, then maybe she is indeed a living organism. If that’s the case, then Gaia needs a proper name. Gaia needs a taxonomic classification. We proposed that Gaia be ascribed the descriptive binomial, the genus and species name, Vitae planeta which roughly translates in Latin to “Life of the Planet”. At the other end of the taxonomic rank, there are three domains of life: bacteria, archaea and eukarya. As Gaia incorporates all of these, it can’t be added as a fourth domain, nor ascribed to any one of them. Instead, Gaia sits at a taxonomic level lower than domain. To properly name Gaia, we need a new taxonomic level, something bigger than a kingdom and a domain. We’ve named it an Empire, or in Latin: Imperium. With respect to the intermediary names of kingdom, phylum, class, order and family, we could fill those names in, but they are unnecessary as there is only one species in the Empire. By that logic, we could even remove the genus name, but because the binomial (genus and species) is descriptive, we’ll just hyphenate it. The job is done. Gaia is officially named. It is our pleasure to propose Gaia’s taxonomic classification reduced to just empire & species: Imperium vitae-planeta. This roughly translates to the Empire of the Living Planet. What would the new Taxonomic Tree of Life look like with this new entrant? As Gaia is made of other species, it probably didn’t form until there were a minimum number of organisms in existence to perform the various duties associated with homeostasis, such as the production of DMS gas by plankton to foster the growth of clouds. Thus, only when species diversity reached a certain threshold did Imperium vitae-planeta evolve. Furthermore, Gaia is composed not just of living things, but the atmosphere, lithosphere (rocks), cryosphere (ice) and hydrosphere (water). The diagram below shows the Tree of Life modified to incorporate Imperium vitae-planeta. It is appropriate that the largest species on our planet now has a formal name, but it does not change the fact that today, many species are going extinct because homo sapiens have built a civilization that degrades Gaia at every level. As cells in Gaia’s body, we humans simply aren’t doing our jobs and the seeds of our extinction are already sprouting. While we humans may soon perish, Gaia will endure for several billion years into the Long Future, beyond which time our sun will swell up, burning Earth to a crisp. Then, Gaia will go extinct, unless through human agency and technology we can help her reproduce. Our capacity to help Gaia reproduce is increasingly unlikely day-by-day as our rapacious consumption of fossil fuels threatens an abrupt climate change catastrophe. Scientists advise that we have just a few years left to avert an inescapable slide into a re-run of the Permian Extinction (the Great Dying), 250 million years ago. While Gaia shrugged off that inconvenient extinction and continued the process of evolution with what species were left, there is no way that humans can survive this future — we need Gaia to be healthy. And given that it took 250 million years for Gaia to evolve an “intelligent” species to help her reproduce following the Permian Extinction, she would probably prefer that we don’t drive ourselves into extinction in a re-run. She sort of needs human civilisation to be healthy, too. It is clear, then, that for humans and Gaia, our lives are better off as partners. Like the young lovers at the beginning of this story, we are made for each other. But who will make the first move? Gaia doesn’t have agency, which means that she doesn’t have the capacity to choose things the way we do. Thus, we humans must make the first move in forming an enduring partnership with Gaia. Agreeing to the terms of our relationship is a conversation between humans and Gaia that’s long overdue — but to be fair, we never really knew her name before. Andrew Buckwell is a research environmental economist at Griffith University in Brisbane, working on climate change adaptation and forest conservation projects in Melanesia. Guy Lane is a Brisbane-based sustainability consultant and writer.